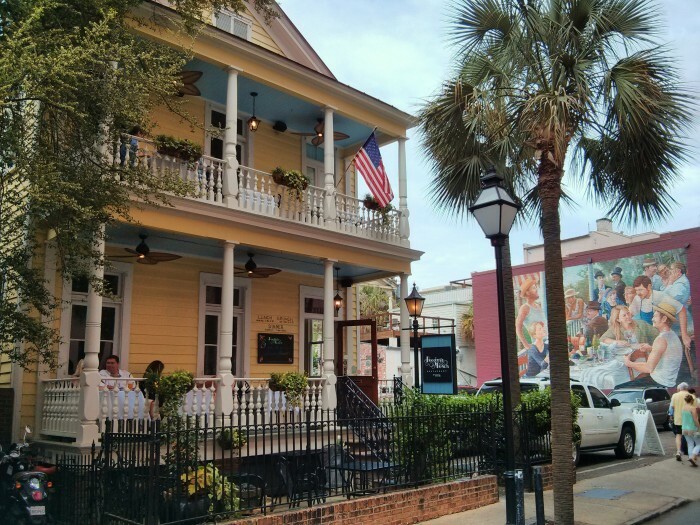 Poogan’s Porch is a popular Charleston restaurant, named after a dog. It’s well known for both its amazing biscuits and its resident ghosts. The mural in the background shows some of Charleston’s most famous chefs and other foodies. 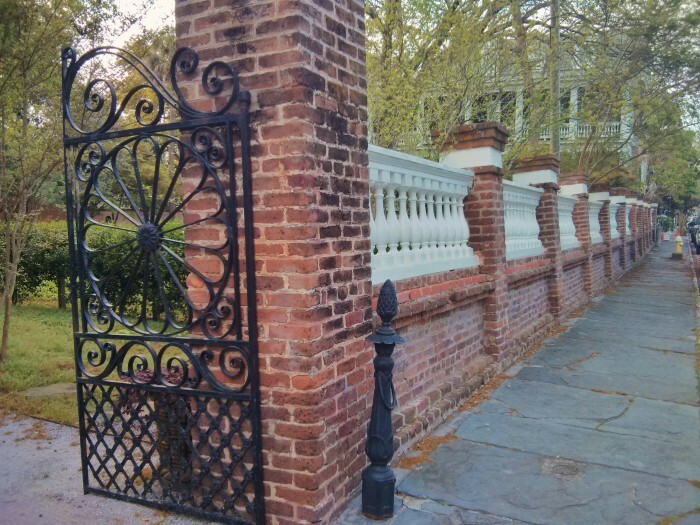 Charleston is full of amazing iron gates and masonry walls guarding beautiful houses. These are located on Limehouse Street. 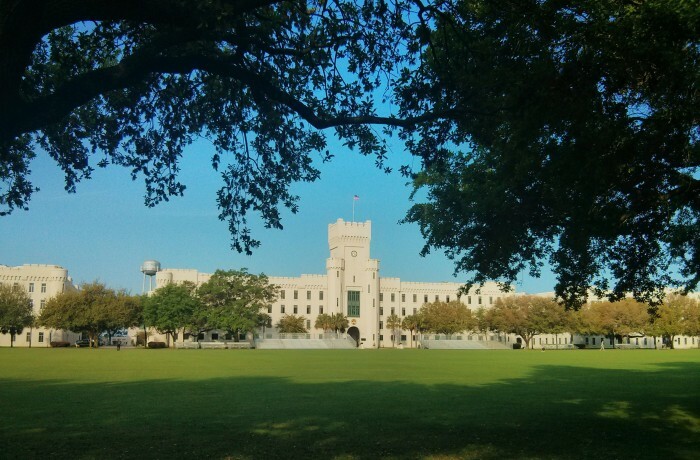 The Citadel has a beautiful campus along the banks of the Ashley River. With impressive buildings and scenic views, it’s worth a visit — and is open to the public. Interestingly, the word “The” in the official name is capitalized twice. 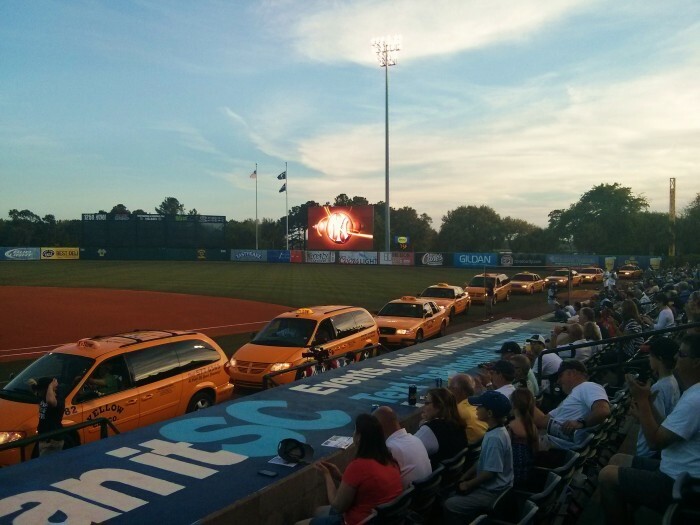 The Charleston RiverDogs, the NY Yankees Class A minor league team, arrive for player introductions for the season opener by Yellow Cab! This beautiful courtyard is in downtown Charleston on Broad Street. 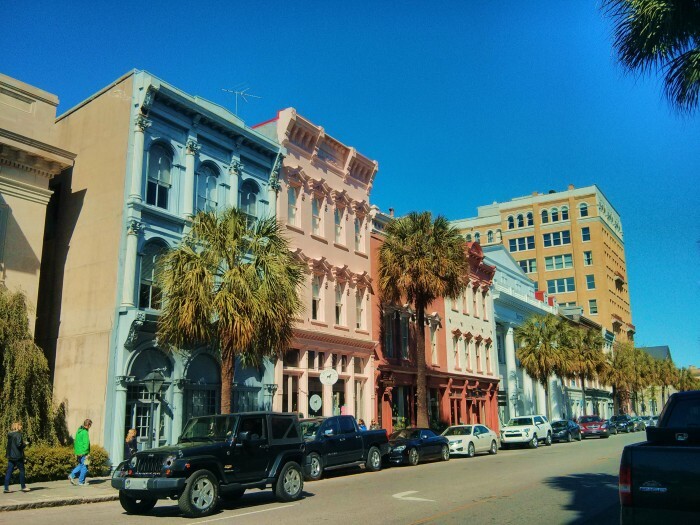 Broad Street is one of the significant cross-peninsula thoroughfares in Charleston. It also acts as the boundary between the SOBs (South of Broad) and the SNOBs (Slightly North of Broad) areas. In the middle of this block is a wonderful old bar and restaurant (with a fantastic courtyard area) called The Blind Tiger. It is named this after the speakeasy clubs which opened up in defiance of the Dispensary Act in 1893 — that heavily taxed the sales of liquor. 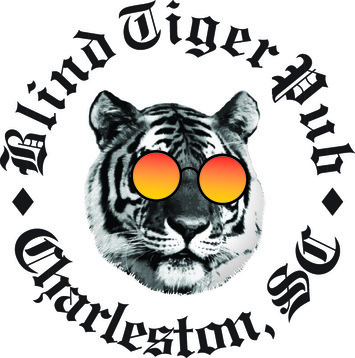 To gain access to the clubs you had to pay a fee to see the mythical Blind Tiger. 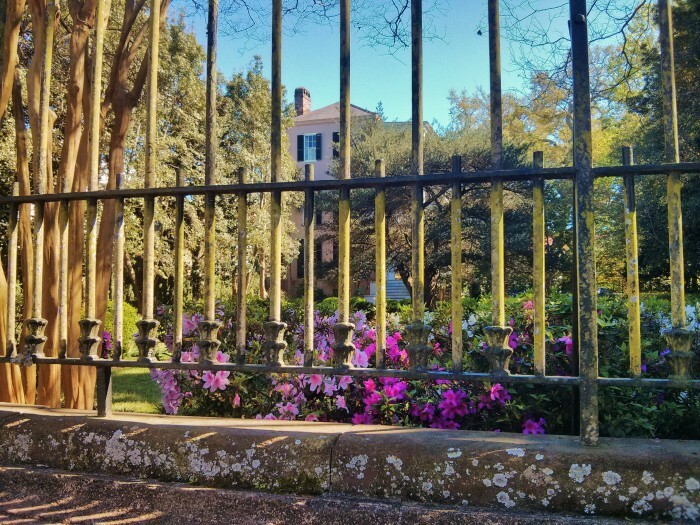 Azaleas, ironwork and a beautiful house = Charleston, SC. 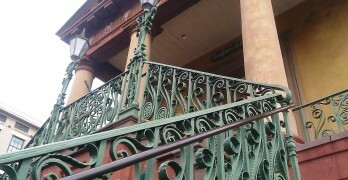 You can find this beauty on Tradd Street. 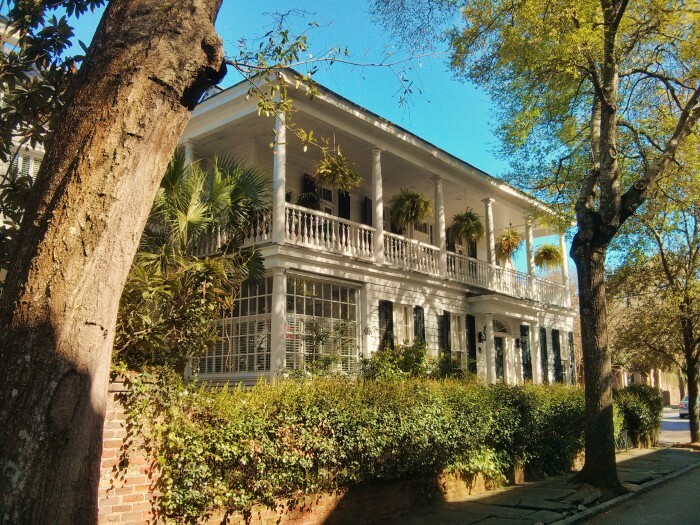 A beautiful Charleston house on Legare Street, above Tradd Street, glowing in the shaded light from a Live Oak tree. In the background is the famous Sword Gate. 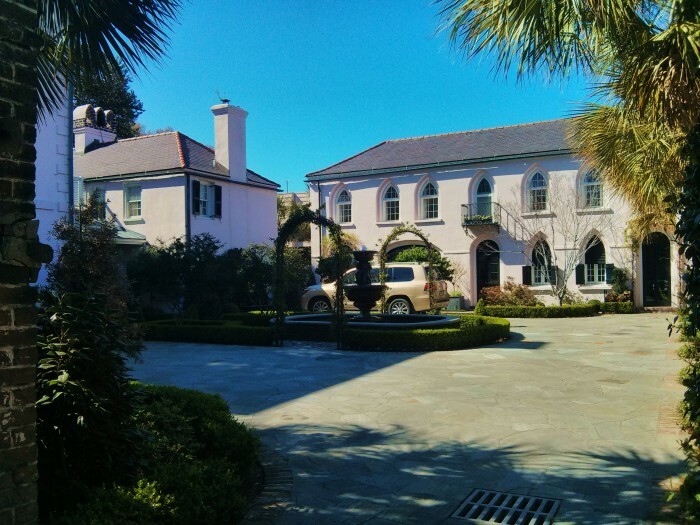 Downtown Charleston surprisingly has many long driveways. 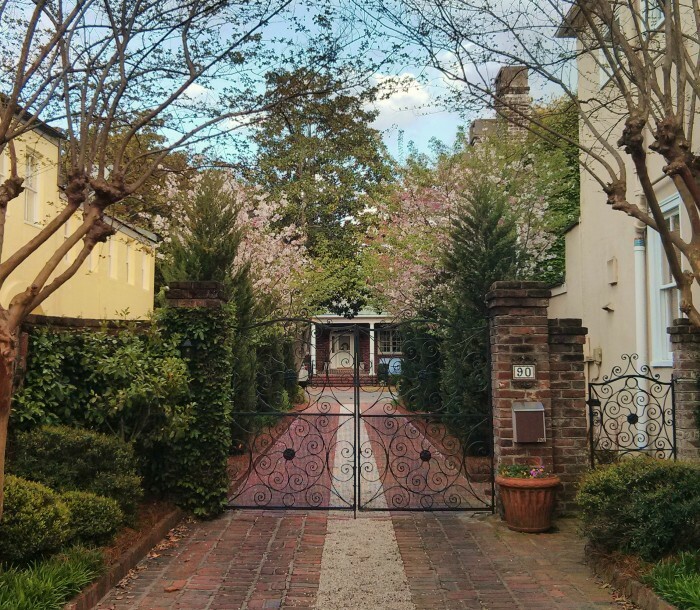 This one on King Street is guarded by beautiful gates and some pretty blooming trees. 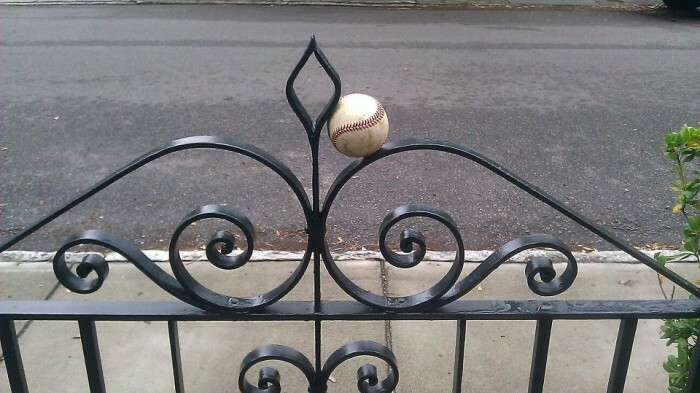 A spectacular catch to celebrate the opening of baseball season by a Philip Simmons gate!